Cats need high-quality proteins and healthy nutrients. 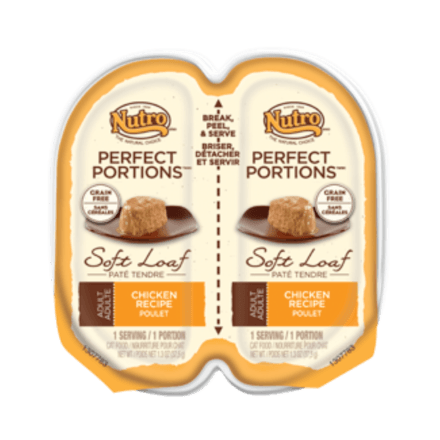 NUTROTM WHOLESOME ESSENTIALSTM Indoor Adult Dry Cat Food Chicken & Whole Brown Rice Recipe is made with real chicken as the #1 ingredient, and whole brown rice for easy digestion. Our premium indoor cat food is formulated with an ideal calorie content and higher fibre for your cat’s indoor lifestyle. Plus, it’s rich in natural oils for soft, shiny fur. 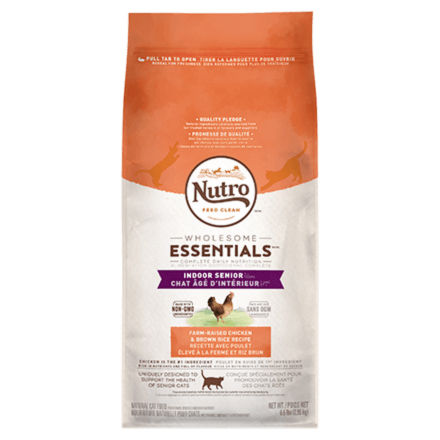 Give your cat the taste and nutrition they deserve with the health benefits you want. ‡Use a standard 8 oz. (250 ml) measuring cup, which holds 3.64 oz. 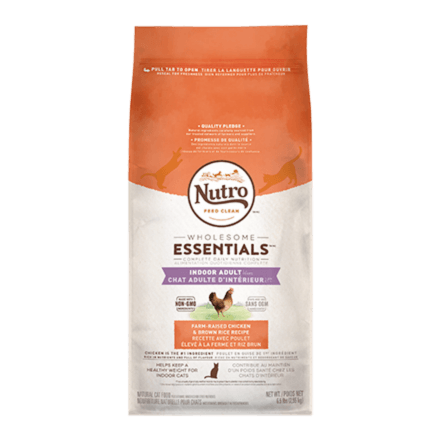 (103.2 g) of NUTRO™ WHOLESOME ESSENTIALS™ Indoor Adult Cat Chicken & Whole Brown Rice Recipe Dry Cat Food. 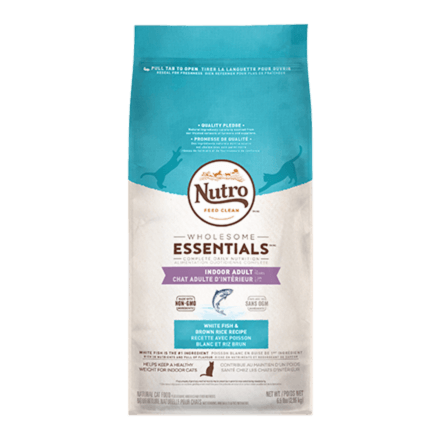 NUTRO™ WHOLESOME ESSENTIALS™ Indoor Adult Cat Chicken & Whole Brown Rice Recipe Dry Cat Food is formulated to meet the nutritional levels established by the AAFCO Cat Food Nutrient Profiles for maintenance.